Watch this week’s videocast featuring a clip of a presenter going from a mumble to a roast almost without flinching. Important lesson on presentation delivery within. 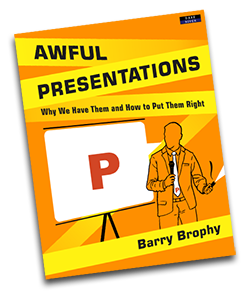 New book, Awful Presentations, available now.